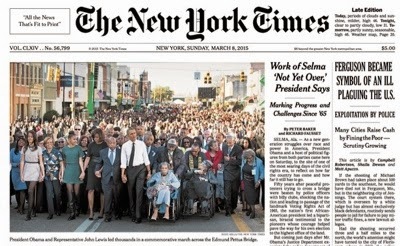 In 1965 the US Media rushed to tell the story emerging from Selma Alabama. 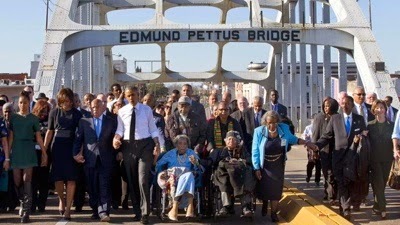 In 2014 the movie Selma told the story the way black Americans wanted to see the story. Yesterday and this morning the liberal press continued the spin the story for minority interests. 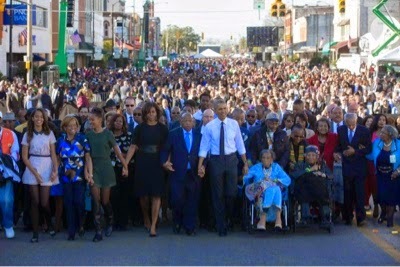 Both the Washington Post and New York Times ran this photo showing President Barrack Obama walking with the masses. The AP and Charlotte Obersver ran this photo. 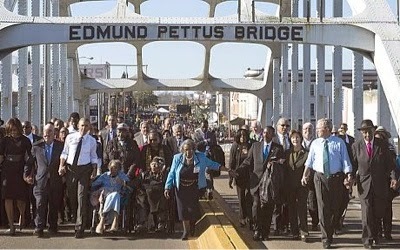 But what is not shown is equally as important as the Obama family pilgrimage to Selma. 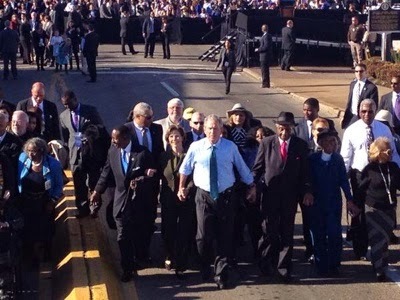 The 43 President of the United States George W. Bush and his wife Laura holding hands walking in lock step with the Obama Family and others across the Edmund Pettus Bridge. 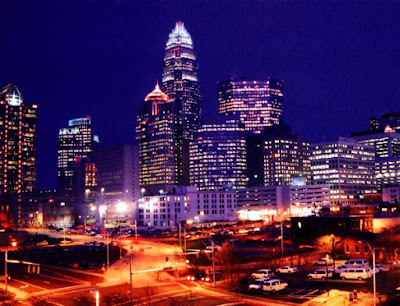 The photo below didn't run on Fox News but maybe in a nation divided is should have. 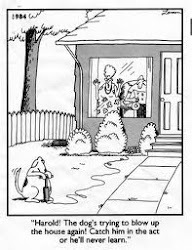 Perhaps the bigger question is why? And when did the media stop reporting the facts? In fairness to the AP they sort of mentioned tha George W. Bush was also in attendance. Then if you remember the Obama administration's defense of our President being a no show in Paris, as they pointed out that the march in Paris was staged, that the leaders of 11 nations didn't really lead the march in Paris because they were separated from the real crowd. Well guess what? Yep, the crowd of special people are seperated from the masses by of all things a black barrier and security staff. 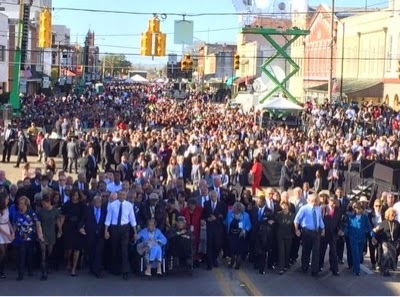 Yet the most disturbing iimage of Saturday's March in Selma is a photo of Obama and Hillary Clinton being circulated as if the photo was taken yesterday and not in 2007. Apparently the low info crowd will believe anything.